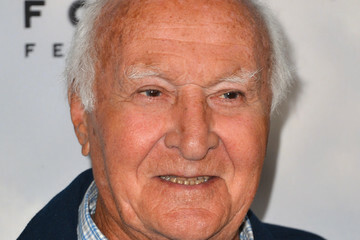 Robert Loggia, an actor known for his versatility and durability in his many roles over the years, has passed away at the age of 85. Loggia had been battling Alzheimer’s Disease for some times, according to his widow and the disease has been confirmed as the cause of death. Loggia had a long and prosperous career that began in 1956 and since then had appeared in many notable films such as “An Officer and a Gentleman,” “Scarface,” and “Jagged Edge,” which earned him an Academy Award nomination in 1986. Loggia also had a successful run in television as Feech La Manna on the HBO series “The Sorpranos,” and as Nick Mancuso on “Mancuso, F.B.I.,” a role that earned him an Emmy nomination. He even starred in a few miniseries such as “Joan of Arc” in 1999, “Picture Windows” in ’94, and “Echoes in the Darkness” in 1987. Loggia was a multitalented actor, racking up credits on three different episodes of “The Rockford Files” as three different characters. He would repeat this feat in three different “Pink Panther” movies, in which he appeared as three separate characters yet again. Loggia is survived by his second wife and widow Audrey and his three children and stepchild: Tracy, John, Kristina, and Cynthia.